Get organized and keep track of things you need to do with one (or more!) 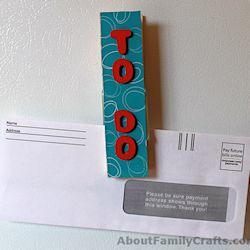 of these over-sized clothespin magnets. These are a great way to organize chore charts, school paperwork, homework sheets, phone lists, and more.